Home CARS Unboxing Of The Amazing Demon Crate! Unboxing Of The Amazing Demon Crate! 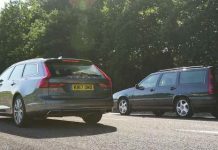 Cars have come a long way ever since its first beginnings and what is even way better now is the chance that you can actually modify your car on whichever way you want, as long as you have the right inspiration. 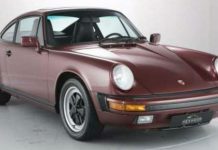 To help you achieving the perfect product once you finish everything off, certain car manufacturers create special packages for all of the enthusiasts. Even though their price might vary from package to package, they are most certainly worth it. 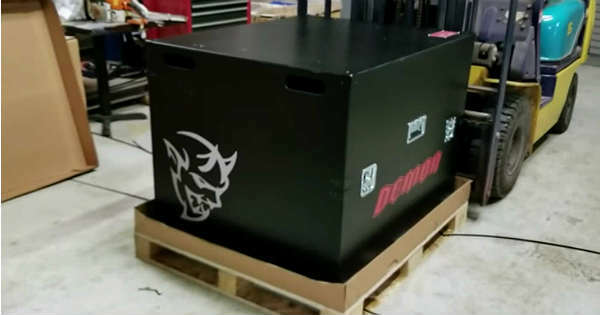 This is why we take a look at the awesome unboxing of this amazing Dodge Demon crate! You are going to be amazed by some of the things that you find there, which are parts that will make your Demon even better. 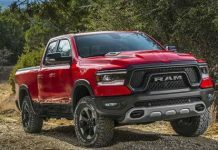 Many of you might even think that the Dodge Demon simply cannot get any better and more powerful than it currently is, but you were most certainly wrong. 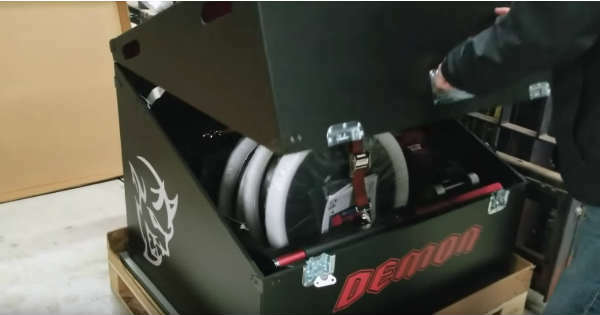 The contents in this Demon crate are something that any such car owner would want to have. 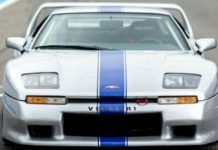 Namely, you are going to find the Powertrain Control Module (PCM), an air intake filter, an Integrated Center Stack (ICS), a passenger mirror block-off, a valve stem, personalized badge outlet, foam truck insert, a torque and an impact wrench, a tool box to keep everything in place and a socket extension. If you thought that was it, there is so much more to discover in this awesome Demon crate, but you are going to have to check out the other contents on your own! Previous articleThe Amazing Take-off Of The Airbus Beluga! Next articleAwesome Wrench Hack That Will Help You Big Time! News Reporters Have Been Blocked To Film TRUMP Golfing! Driver Ticketed For Broken Windshield While He’s Getting It Fixed! 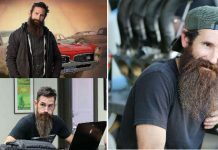 Aaron Kaufman – Short Bio, Career & Net Worth! 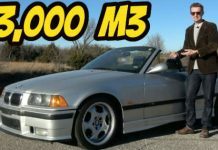 These Might Be The Worst Supercars Ever Made! Wooden Car Box For Organization & Storage!